Awesome. Thank you so much, you have given me so much to think about. Things I hadn’t considered that definitely make sense. Thank you so much for your response!! Hi there, back again with another dream. Well dreams. For starters, let me explain that I’m married with 2 kids that are 6 and 3. I used to be engaged to someone who went away to school for a while and came back for a holiday and seemed so different from having left, that I broke things off because I was scared to marry someone who had changed so much. Well after coming home from school and attending university at home, he went back to being the same person he had always been. We had several times where he had comforted me after break ups, he would kiss me and there was still that fire and it felt right but my breaking off the engagement originally, I guess made it to where he assumed that’s what it will always be. Separate but close. We’ve remained very close friends. I think of his family as my family and he is now married as well. I am friends with his wife now also. BUT. I can’t stop having dreams about him. Where we’re together, married and happy and when I wake up, I’m sad. Which I don’t know is normal. Last night’s dream, I don’t think we were together but it was tip toeing around telling him at least why I had broken things off in the first place and telling him how I felt. But then I was woken up by a munchkin before it was over. Is it hormonal? Does it mean something? What do I do? 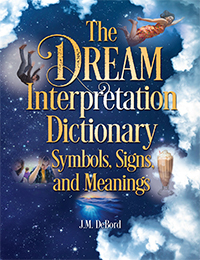 This sort of dream is tricky to interpret because we don’t know if your old flame (and current friend) is used as a symbol for something or someone else you are close to in the personal or even physical sense (such as your current SO or even your children). He could symbolize something connected with what happened when he went to school and you had to make hard decisions and witness a sudden change in personality of someone close to you. Now, in your dreams he can symbolize the subject of hard decisions. He could symbolize something you learned from the situation that has come up again in your life. Or he could symbolize “what if?” What if you two had stayed together? How would your life be different? This theme in dreams can help you identify what’s missing in your life, or what you want more of. It doesn’t mean you regret the decisions you made or would give up your current life to be with him. Instead, it’s a way to safely explore the roads you don’t take in life. Learning from past experiences can help you make better decisions now and in the future. Or, you could even be subconsciously interacting together in dreamland and helping him to understand what happened between you two. What do you do? I’d begin by thinking of the dreams as stories and engage with them while awake to feel your way through and help come to some sort of conclusion or resolution, or just to gain more insight. Daydream, basically, by reinserting yourself back into the scenes with him and proceed as if you are an actor giving an outline and told to perform impromptu. Remember, your dream characters are usually projections of your inner world, and it interacts in the form of those characters. It’s a process that’s always happening, so you don’t have to wait till you’re dreaming to help it along.